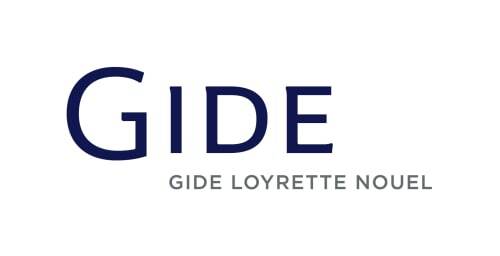 Gide is a premier international law firm and the first to have originated in France. Founded in Paris in 1920, the firm now operates from 15 offices worldwide. With 600 lawyers, drawn from 35 different nationalities, Gide offers some of the most respected specialists in all sectors of national and international finance and business law. In each of its offices in Europe, Asia, North America, Africa and the Middle East, the firm provides its clients with comprehensive knowledge of local markets, regional expertise, and the resources of an international law firm. Gide is active in all aspects of French and European economic law, including competition law (merger control, concerted practices, state aids, abuse of a dominant position and vertical restraints), distribution law, the law relating to publicity, product liability, international trade (anti-dumping, anti-subsidies, safeguards and WTO), EU regulatory law (including agriculture and food law) and customs law. Its Competition & International Trade practice group, comprising 50 lawyers, mainly based in Paris and Brussels, handles both contentious and non-contentious matters, and regularly represents clients before French commercial and disciplinary or criminal jurisdictions. It is also in constant contact with both national and community-wide regulatory authorities. Gide Brussels provides an effective means of access to the European institutions. Its lawyers regularly appear as advocates before the Court of First Instance and the Court of Justice in Luxembourg.